A snapshot of some of the most stunning places in Cornwall, from hidden beaches to ancient rock formations. 1. 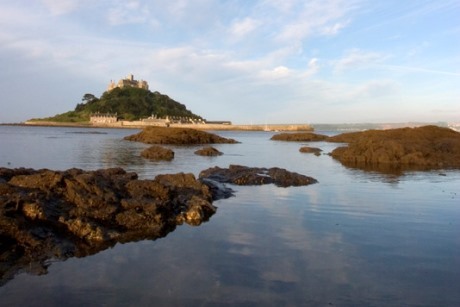 St. Michael’s Mount, Marazion (Photo credit: VisitBritain/Daniel Bosworth). St. Michael’s Mount is home to a castle, sub-tropical garden and a close-knit island community comprising members of the St Aubyn family and just 30 island residents. Visitors to the National Trust site can visit various rooms inside the castle, including the map room where they can learn of mythical Cornish giants. Gardens full of unlikely and exotic plants plus a church dating back to the 12th century are also waiting to be explored. Groups of 15 or more will receive discounted rates for both castle entry tickets and combined castle and garden tickets. 2. 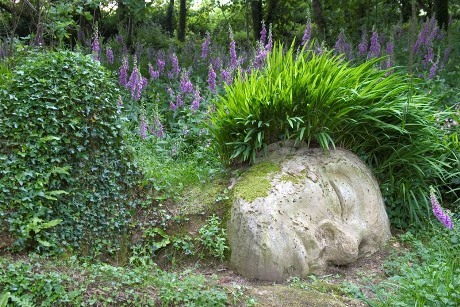 The Mud Maid at The Lost Gardens of Heligan, St Austell (Photo credit: VisitBritain/Daniel Bosworth). The Lost Gardens of Heligan are based near Mevagissey, and were created by members of the Cornish Tremayne family from the mid-18th century to the beginning of the 20th century. The gardens include rhododendrons and camellias, a series of lakes fed by a ram pump over 100 years old, flower and vegetable gardens, an Italian garden, and a wild area filled with subtropical tree ferns called The Jungle. The Mud Maid is a giant sleeping beauty sculpted by local artist Sue Hill, on the Woodland Walk. It was created to enhance the woodland experience, in a style following the fashion of Victorian ornamentation. Parties of ten or more qualify for group discounts at the gardens, and organisers enter for free. 3. 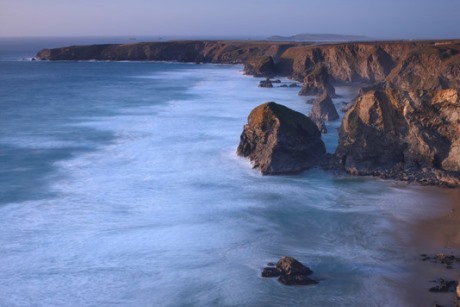 Carnewas and Bedruthan, Mawgan Porth (Photo credit: VisitBritain/Britain on View). Carnewas and Bedruthan is a stretch of coastline located on the north Cornish coast between Padstow and Newquay. It’s free to visit, and there are plenty of cliff top walks for those who enjoy a scenic stroll. There is evidence that the coastline was a site for mining; there are shafts on the cliffs nearby at Trenance Point, and mine entrances above the beach at Carnewas. The National Trust shop at the top of the cliffs was originally the office of Carnewas Mine and the cafe was one of the mine buildings. 4. 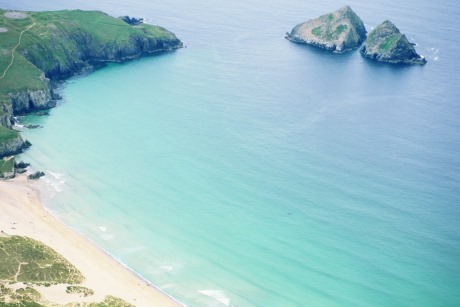 Holywell Bay, north Cornwall (Photo credit: Visit Cornwall/John Such). Cornwall is well known for its expanses of beaches, from white stretches of sand under a summer sunshine to rugged and dramatic beach-scapes spattered with sea spray during winter storms. Holywell Bay, located six miles west of Newquay, falls into the former category. There are three walking trails from the beach, great for walking groups who’d like to explore Holywell and Crantock on foot. GTOs looking for accommodation near here can stay at Park Dean’s Holywell Bay site, where discounted rates are available for organisers booking five or more holiday homes. E-mail groupenquiries@parkdean.com for booking information. 5. 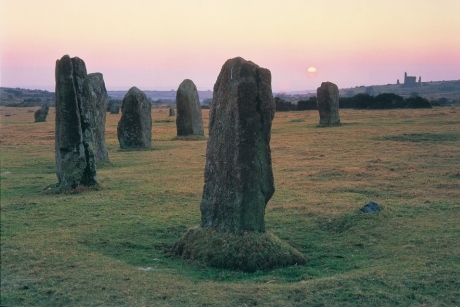 The Hurlers Stone Circles, Bodmin (Photo credit: Visit Cornwall/Paul Watts). The Hurlers are three late Neolithic or early Bronze Age stone circles arranged in a line on Bodmin Moor, and are said to be one of the best examples of ceremonial circles in the south west. According to legend, they are the remains of men petrified for playing hurling on a Sunday (hurling is a game resembling hockey). There are plenty of trails around the area; visitors to the site, which is looked after by English Heritage, can extend a visit by walking to the tea room and shop in the nearby village of Minions. 6. Tintagel Castle, south west Cornwall (Photo credit: Visit Cornwall/Adam Gibbard). 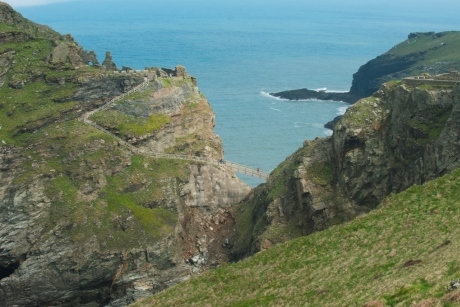 Tintagel Castle is perhaps best known for roots in the legends of King Arthur. Now in ruins, the site is popular with tourists; events take place frequently throughout the year, and the remaining stonework, secluded beach and wooden bridge combine to allow for a day of exploring without pause. Groups visiting Tintagel can enjoy an exhibition which was implemented in 2015; it features displays of some of the historic finds from Tintagel Castle as well as portraying how legend and reality have combined to shape the castle through the ages. There is a 15 per cent discount for parties of 11 or more. 7. Town Beach in St Ives (Photo credit: Visit Cornwall/Adam Gibbard). 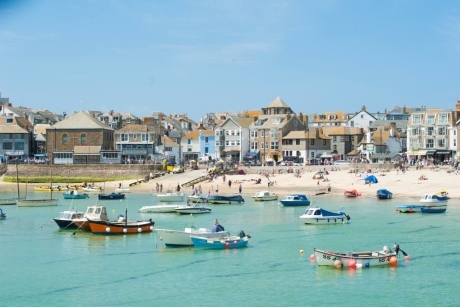 St Ives is a seaside town, boasting pretty beaches, rows of traditional seaside gift shops, fish and chips at every corner and a sandy-bottomed harbour. The harbour is a working port where visitors can watch the local fishermen landing their daily fresh catches of locally caught seafood. GTOs who’d like to extend a stay can book a night at Cohort Hostel which sleeps up to 45 people, or book out a property for the whole group, like the Big Beach House in the centre of the town, which sleeps 20. 8. 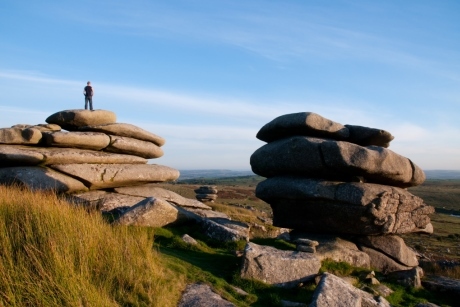 Rough Tor Minions, Bodmin (Photo credit: Visit Cornwall/Matt Jessop). Rough Tor is a free-standing rock outcrop on Bodmin Moor. Visitors taking a walk in the area can see a Neolithic tor enclosure, a large number of Bronze Age hut circles, and some contemporary monuments. There is also the surrounding scenery of the moors. Walking groups can explore the Cornish wilderness on a walk which climbs Rough Tor and follows a ridge where there are panoramic views to the north Cornish coast. The walks in the Rough Tor area are classed as easy to moderate.